The Umansky Law Firm in Orlando defends people throughout Central Florida who have been arrested for or charged with a crime. If convicted of a crime, you could face various legal penalties and personal problems. Your defense is our top priority. We want to keep you out of jail and help you avoid all of the potential criminal consequences you could face. In the state of Florida, crimes are classified as either misdemeanors or felony offenses. The maximum incarceration and fine for a crime are based on the crime severity along with the frequency of the crime committed by that person. The state has mandatory minimum sentences for offenses and can take into consideration previous court rulings (precedents) for similar cases to determine an individual’s penalty for a particular crime. Misdemeanors are less severe crimes compared to felonies but are crimes nonetheless, which is why anyone charged with a misdemeanor should seek legal representation. Whether a crime is recognized as a misdemeanor or a felony can be determined by the value of a stolen item or amount of a controlled substance one has in his possession. There also instances where a crime recognized as a misdemeanor becomes a felony after repeated violations. Both of these classes are handled by a county court judge. Though misdemeanor offenses are less serious than felonies, punishment can still reach a maximum of one year in jail and a fine totaling $1,000. Committing a misdemeanor still results in an arrest and requires mug shots, fingerprints, and posting of a bond. Misdemeanors are also capable of having a permanent place on criminal records. Felonies are more serious than misdemeanors, punishable by the possibility of over a year in prison. While common misdemeanors include theft, DUI, trespassing, and solicitation of prostitution, felonies constitute of aggravated assault and battery, burglary, child abuse, grand theft, homicide, and many other serious crimes. Due to the serious nature of these crimes, felony cases can only be handled by circuit court judges. Each felony also includes up to the same amount of time on probation as the maximum incarceration. Life and capital felonies do not have a possibility of parole. These are more difficult to defend and require more experience and time from attorneys who handle felonies. The Umansky Law Firm is here to make a difference in your life and help you avoid the consequences of a conviction. To improve your chances of not having to be subjected to any of the previously mentioned penalties, acquire the services of an experienced criminal defense lawyer. The Orlando criminal defense lawyers at The Umansky Law Firm have over 100 years of combined experience and can help position you for a favorable court ruling. 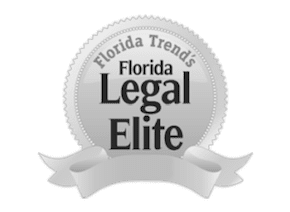 As former Florida prosecutors at the state and local level, we have extensive knowledge of both sides of the criminal justice system, having tried hundreds of cases in Florida courtrooms. We cannot guarantee your outcome, but we can guarantee that we will dedicate ourselves to seeking the best possible result for your specific criminal matter. To arrange your free consultation with one of our attorneys, call us at 407-228-3838 or live chat with us 24/7.